My friend is a busy mom of three. She home schools her children, works part time as a Family Physician and is actively involved in her community. She also loves real food, prepares their family’s meals from scratch and sources the ingredients as locally as she can. Recently she shared this simple staple recipe in their home, and I’m here to pass along this gem of a recipe to you! Place the onions and carrot in the bottom of a large crock pot. Take a whole frozen chicken out of your freezer and remove the packaging. Place the frozen chicken on top of the onion and carrots. Rub salt and pepper onto the frozen whole chicken. Place the lid on the crock pot and turn it on high. 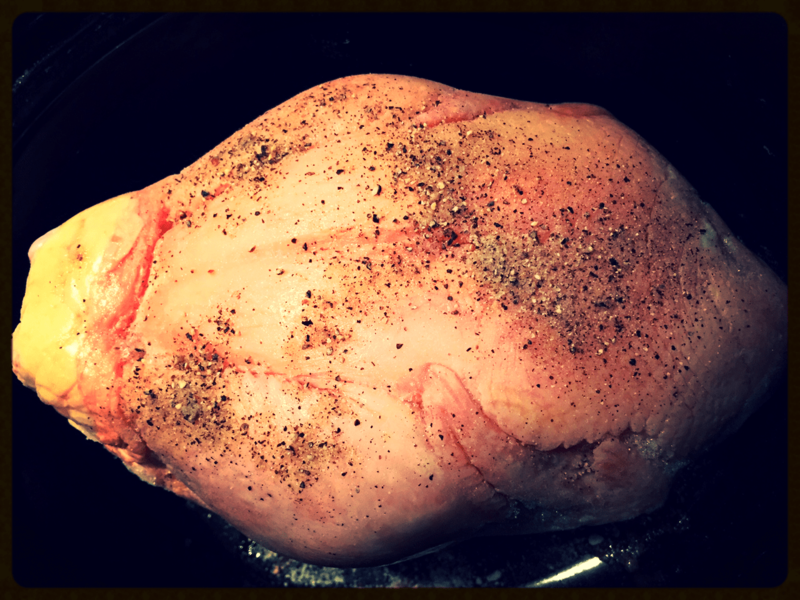 The chicken will be done in 6-8 hours (always best to check the temperature using a meat thermometer). Voila! Simply add a veggie side, salad and/or grains and you can call dinner done!